How do I upload a SCORM package to an Coassemble Course? The ability to upload your own SCORM packages let's you add existing eLearning files to your Coassemble Courses. We've made sure this capability is available for everyone on any plan. This article should help to make the process of uploading your own SCORM packages as easy as possible! Step 1: Click Edit on the Course that will host your SCORM package. Step 3: Click on 'Drop a file here or click upload', select your SCORM package from your computer, then select the 'Module Type' and 'SCORM version'. Don't forget to give your SCORM package a title before saving your changes using the green tick. 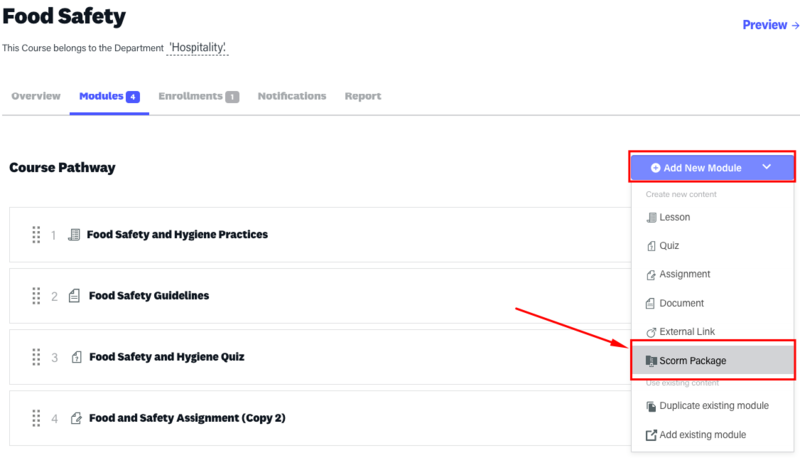 The Course Pathway should now display your new SCORM package. 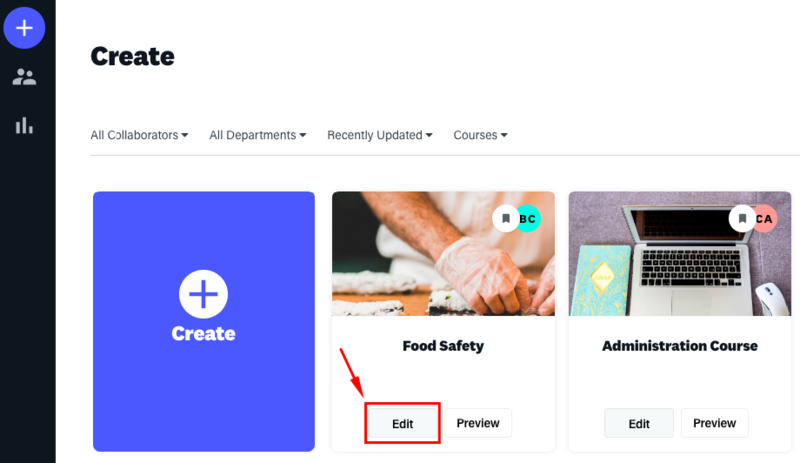 To check this SCORM package is working in your Coassemble Course, you can preview the Course using the Preview button on top right of the Course screen, or by hovering over the module, as shown below. 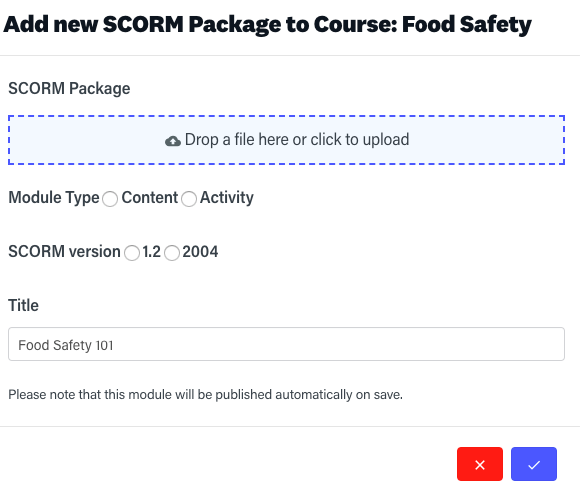 Note: Some SCORM packages do not communicate their completion, you are able to manually set the SCORM package as complete in the Module Settings panel. We hope this short article was helpful and thank you for your continued support of Coassemble.